Despite cracks in basement columns, the Dade County Courthouse won’t be falling down any time soon as it undergoes 45 days of engineering tests. Officials are keeping a close watch on a rehabilitation project for the building at 73 W Flagler St. so that it will serve for years to come. 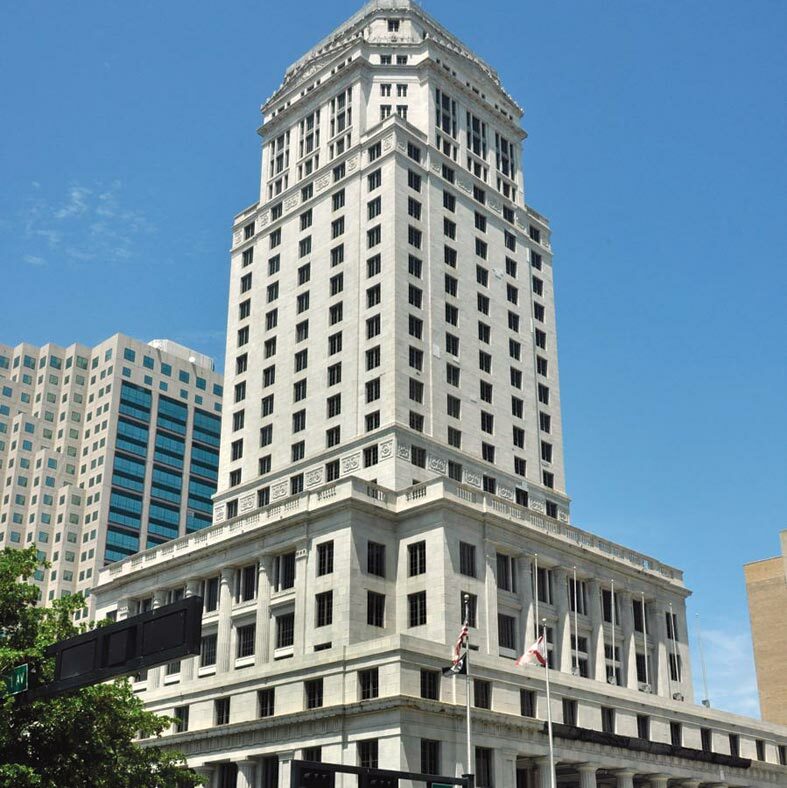 The 11th Judicial Circuit Court of Florida asked the county to thoroughly investigate the condition of some basement supporting columns after personnel discovered potential problems. Building management staff noticed the columns showed signs of deterioration including water intrusion and incidental cracks, said Miriam Singer, assistant director of Miami-Dade County Internal Services Department and chief procurement officer. The county’s Internal Services Department hired U.S. Structures Inc., which in turn subcontracted with G.M. Selby Inc. to conduct non-destructive testing for the columns. This testing evaluates a material or structure without causing damage to it, using such techniques as ultrasound, x-ray and remote visual inspection. Gerald Zadikoff, who prepared the interim report, sent it to Internal Services officials Oct. 31, 2013. Now, G.M. Selby is conducting secondary testing to ensure engineers get to the root of what is causing the erosion and determine the degree to which repairs are needed. Ms. Singer doesn’t have information yet on how much it will cost to fix the support columns because the extent of the damage hasn’t been determined. The courthouse basement is used for storage and minimal parking. Ms. Singer said. Office use is limited. She stressed that there is no danger now for anyone one who uses the courthouse. She said the engineering firm hasn’t yet provided recommendations or scenarios for how remedial work – and the consequences of various timeframes for it – might proceed going forward. G.M. Selby’s 27-page report states the firm will work together with U.S. Structures to come up with suggestions for the required repairs. To date, the engineers have examined 15 columns and were able to locate and identify such problems as plate damage, corroded metal plates and damaged rivets. Before arriving at a full conclusion, Mr. Zadikoff advised that G.M. Selby will have to evaluate more columns. Miami-Dade County is currently renovating the courthouse. The $30 million project includes improving the historic structure’s roofs, plazas and facade. Ms. Singer said the façade restoration investigation has been completed but the time schedule has been interrupted by the findings in the basement. What the upcoming destructive testing and its results mean for day-to-day operations of the courthouse remain an open question. The courthouse, which was built in 1925, was added to the US National Register of Historic Places in 1989. Information related to structural testing at the courthouse, Miriam Singer at singer@miamidade.gov or Eunice Sigler, (305) 349-7189. Questions on the interim report on the columns, Gerald Zadikoff, (305) 666-5775.